Saint Sophia Cathedral in Kiev is an outstanding architectural monument of Kievan Rus'. Today, it is one of the city's best known landmarks and the first Ukrainian patrimony to be inscribed on the World Heritage List. 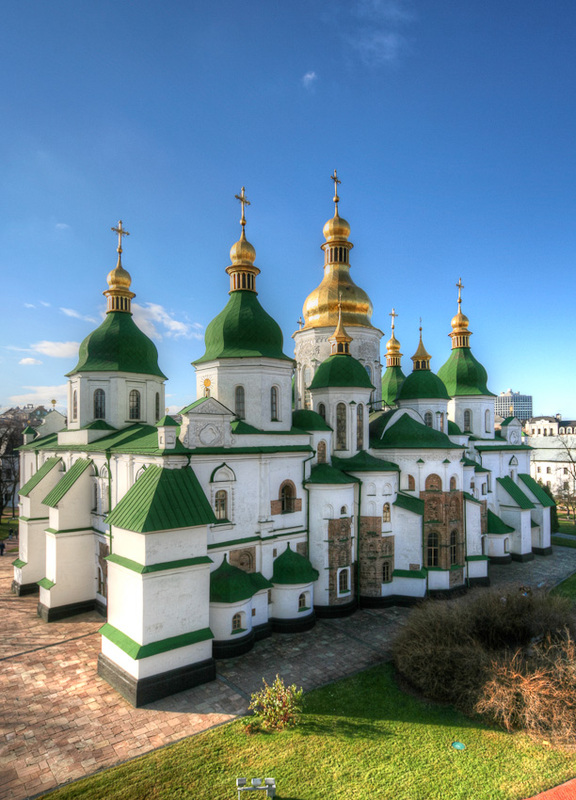 The complex of the Cathedral is the main component the National Sanctuary "Sophia of Kiev" the state institution responsible for the preservation of the Cathedral complex along with several other historic landmarks of the city. Like any major church in Kiev, this church has a belltower. I took this photo from that belltower.